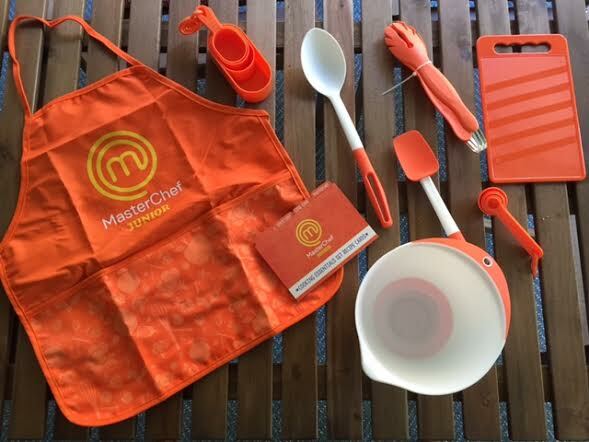 MasterChef Junior provided me with MasterChef Junior Inspired Cooking Sets to sample. An array of orange measuring cups scattered across the counter. A bowl full of flour. A rolling pin flattening pillowy dough on a wooden butcher block board. My mom's cheek has a smudge of powder smeared across it, but she is smiling as she asks me to sprinkle on the cinnamon. I can't reach the counter top, so I pull over a chair and nestle it in next to her. She underlines each word of the recipe with her finger across the browned and wrinkled pages of an old cookbook. As I watch her, I secretly hope that one day I have books filled with recipes that are equally well-loved, and that my future culinary creations will bring joy to those who indulge. I've learned a lot of things from my mom. But one of the most important (and most memorable) is the ability to cook. When I think back to my childhood, I have so many great memories of being with her in the kitchen, cooking ingredients all around us while delectable aromas waft from the warm oven. 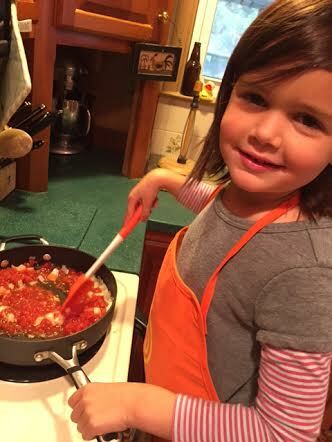 It was during these hands-on moments that I learned the basics of cooking. There was never a formal lesson; rather, I just sat, watched and soaked in the knowledge. It's why I so love cooking today. It's my hope to instill the same passion for food to my girls. I always invite them to work alongside next to me, giving them small tasks as I pull together a meal. We've recently taken to watching cooking shows, and they are obsessed! Some Saturday mornings, we'll watch several shows, and Chica and Bug will make plans to make this recipe or sit in amazement over that recipe. So you can imagine I can't wait to introduce them to a cooking show geared especially for kids. A new season of MasterChef Junior, the pint-sized version of the hit reality cooking show lead by Gordon Ramsay, begins this Friday, November 6. 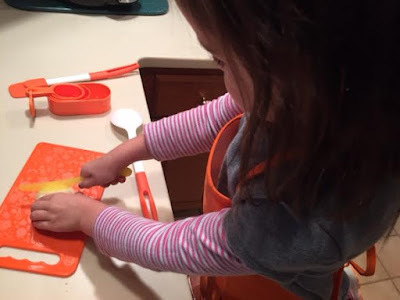 In honor of a new season of kid chefs and recipes, MasterChef Junior sent me one of their MasterChef Junior Inspired Cooking Sets to get the girls excited. My first thought when I opened this kid cooking set is WHY DID THIS NOT EXIST WHEN I WAS A KID? 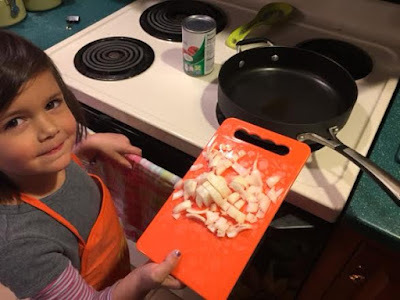 The kitchen tools included in the sets (spatula, tongs, apron, mixing bowl, measuring cups and spoons, cutting board and recipes) are quality culinary items for kid-sized hands. My girls were blown away that their utensils were "just like yours, Mommy!" and they couldn't wait to cook with me! 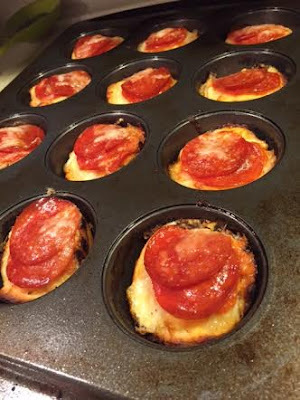 We, of course, immediately put the kitchen tools to use making Pepperoni Pizza Muffins. The girls were extra eager to participate in making dinner because they had their own kitchen utensils to use. I see, now, how equipping young chefs with the right tools ignites passion and creativity. As we worked, I told them about MasterChef junior, and how kids just like them on a reality cooking show. "Can I be on MasterChef Junior?!" I told her if she kept working on her skills and practicing, she might be able to one day compete! 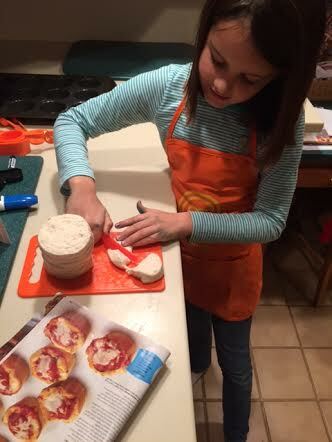 My real hope for her, though, is that spending more time in the kitchen will give her a passion for the culinary arts. And the great people of MasterChef want to inspire YOUR kids as well. 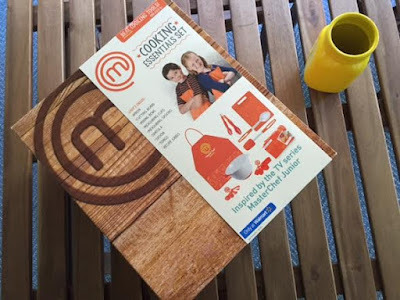 They'll be sending one of my lucky readers a MasterChef Junior Cooking Set. Fill out the Rafflecopter below for a chance to win. Good luck! The giveaway is quick: I'll pick a winner THIS Friday, November 6, before the first episode of this season's MasterChef Junior! 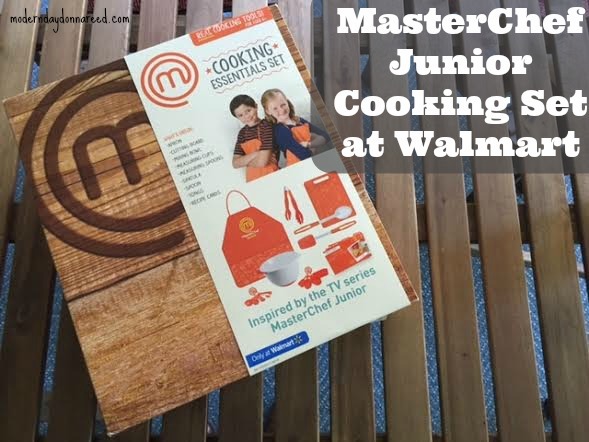 You can purchase a MasterChef Junior Cooking Set exclusively at Walmart. Don't forget to tune in to Fox on Friday's, 8/7c to catch MasterChef Junior! 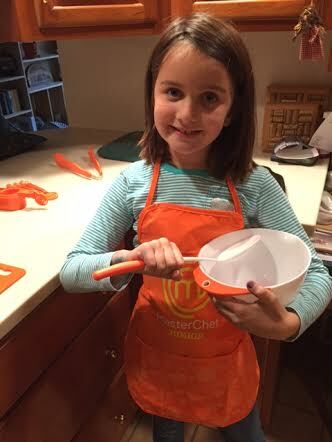 Disclosure: While I was selected by MasterChef Junior and received the cooking/baking set, all opinions are my own.